The 10th Craft Cubed Festival invites makers and creative organizations to join us in forging another celebration of the handmade this August. Applications for both our famous Window Walk Project and our DIY Satellite Program under the theme of Crafting Culture are now open. 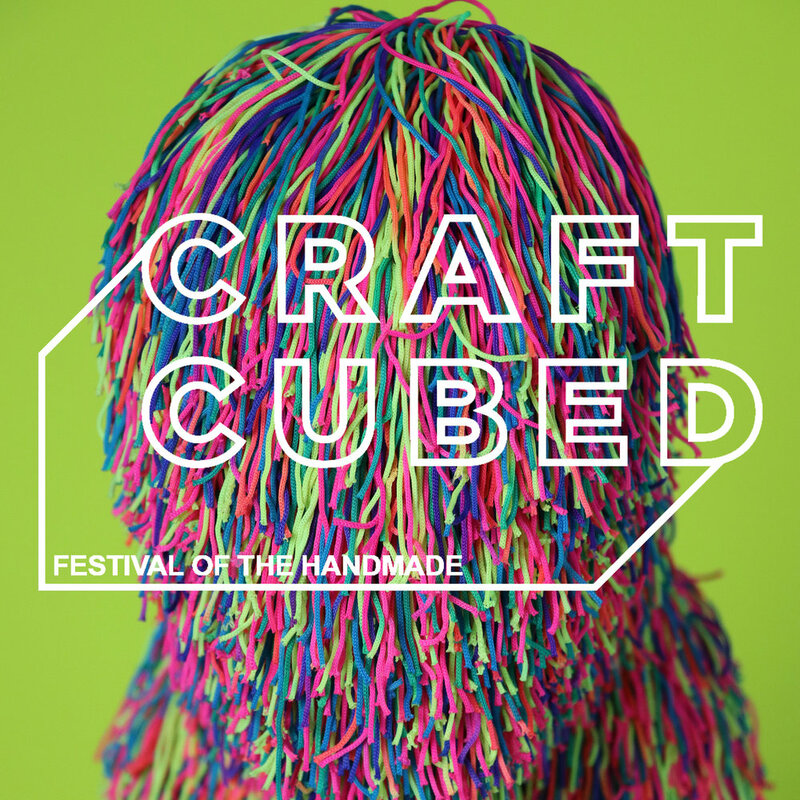 Craft Cubed Festival is funded by the City of Melbourne. Last year we introducing a brand new form of tailored Professional Development by the way of Monthly Advice Clinics. Free for members, we invite you to come along and grab a 10 minute slice of professional advice with specific focus. Plus, take the time to meet other members and browse our amazing Craft Library which is now publicly accessible for the first time in years. Join us for the first Craft Hatch Market of 2019 and support local, independent and handmade craft. The April session is an opportunity to have your work critiqued from a retail perspective. Bring in your craftworks, your works in progress, your concepts - and the panel will give you feedback based on a retail and commercial perspective. Empower yourself to design, create and manage your own website to profile yourself and your craft. These days, a website is a must-have for any creative wanting to be taken seriously by galleries, curators, collectors and the media. Come to hear ideas, tips and planning resources for setting up a simple, cost effective and professional website for you as an artist or craft maker. With a focus on creating an online portfolio, this session will give you the confidence to build, manage and edit your own online representation. Learn some basic Dos and Don’ts of artist websites. Our Monthly Advice Clinics are free for members! We invite you to come along for a short, tailored session focused on a specific area of professional development. Presented as both opportunities to speak directly to a panel, or be involved in a mini workshop with other members, we design these sessions to give you plenty of homework and food for thought! This March session is an opportunity to look at and develop your Craft Business Plan. This Advice Clinic will be useful for both emerging makers who are just starting out and established makers who might need to reassess, or who are planning a new trajectory. We will be operating this month’s session as two mini workshops. A creative and liberating brainstorming session to formulate Your Business Plan for your creative small business with Corinne Beinart. This is aimed at artists and craft makers who would like to think of their activity in a more professional manner. It will be useful for both emerging makers and artists who are just starting out and established makers who might need to reassess, or who are planning a new trajectory. Beck and Gemma will give you ideas for creating a framework for mapping your craft-life month-by-month with a focus on big craft goals, production, finances, professional development as well as housekeeping, life-stuff and mental health. We aim for this to be a motivating, ideas-driven session with lots of opportunities for workshopping your specific circumstances and goals. Advice Clinics are free if you are a Craft Victoria Member. To say crafting a good artist biography – or maker biography - is an art is an understatement. Your bio should be memorable, meaningful and unique. And it should be something that you update annually. An artist or maker bio is important for your website, social media, retailers, galleries, grant applications, market applications and press releases. Not to mention packaging and other print opportunities. The process of writing this can also be something that helps you focus on your goals, purpose and drive. And reflect on yourself. Start the year off with this intensive workshop aimed at providing ideas and tools for editing and re-writing your biography with Craft’s Gemma Jones. Craft will also offer post- workshop feedback and editing. Craft is bringing back Hatch with new energy and a new structure with all the same passion, support and freshness. Craft Hatch is our emerging maker’s incubator market program which centres on a live market event. Join us for an open panel discussion in the gallery amidst the current exhibition “smother” at Craft. A conversation about the intersection of feminism, making and motherhood. How do we construct and make our ideas – whether it be jewellery, photographs, structures or words? How does the body and our politics inform this? How, indeed, is feminism crafted? In 2018 Craft have initiated a new form of tailored Professional Development by the way of Monthly Advice Clinics. Free for members, we invite you to come along for a short, tailored session focused on a specific area of professional development. We heard the call from our members who live further afield, and this November we are offering a “Regional Dial In” where we will be doing remote consultations for members who can not make it into our Watson Place HQ. We will be operating this month’s session slightly differently – in that you will have an opportunity to receive a dedicated telephone call (or FaceTime) with a Craft professional to talk to you about your particular area of need. Market Ready is a retail foundations starter for makers preparing to take their work to market designed as part of our Craft Hatch program. Bunjil Place, City of Casey. Photo @johngollings . We are collaborating with City of Casey to host a free professional development workshop in how to create your own website for artists and makers. These days, a website is a must-have for any creative wanting to be taken seriously by galleries, curators, collectors and the media. Get ideas, tips and planning resources for setting up a simple, cost effective and professional website for you as an artist or craft maker. With a focus on creating an online portfolio, this session will give you the confidence to build, manage and edit your own online representation. Learn some basic Dos and Don’ts of artist websites. Please bring a notebook and laptop if you have one. Image: Furniture designer/maker, Thomas Lentini in his studio, 2018. SORRY THE OCTOBER SESSION IS COMPLETELY BOOKED OUT. The October session is an opportunity to look at and develop your Craft Business Plan. This Advice Clinic will be useful for both emerging makers who are just starting out and established makers who might need to reassess, or who are planning a new trajectory. We will be operating this month’s session slightly differently – in that we will be running three one hour mini workshops with a small group of members in each. This year, Craft & Design as a Career returns for a day-long symposium of handmade goodness. We will explore each journey of the innovative, brave and creative industry experts, as they discuss their philosophies and perspectives on what it means to practice in today's craft and design community. Troy Emery, L- R, late night binge, 2018 polyester, polyurethane, pins, adhesive, pink spy, 2017, polyurethane, polyester, pompoms, glue, glass eyes, plastic ear liners, big rainbow cat, 2018, polyester, polyurethane, pins, stables, adhesive. Photo Fred Kroh. Join Troy Emery along with Tai Snaith, Stephanie Hicks and Rute Chaves from our Artist in Residence Project for tea, coffee, cake and conversation. The special Craft Cubed session is an opportunity to have your Instagram critiqued and analyzed with an eye to recent developments. The panel will look at your images, your text content, your hashtags as well as your bio, your stories, your story highlights and new use of shop functions. Join the Sea HER Land artists for this exclusive workshop learning how to make jewellery using natural materials such as ochre, shells, wood and twine. Inspired by this year’s 2018 NAIDOC theme ‘Because of Her, We Can’, this exhibition Sea HER Land showcases a rich quality and diverse range of works made entirely from natural materials by six of Baluk Arts’ key female Aboriginal and Torres Strait Islander artists, Tallara Gray, Cassie Leatham, Gillian Garvie, Beverley Meldrum, Nannette Shaw & Lisa Waup. Exquisite works made from materials such as bull kelp, shells, bones, clay, wool, wood, assorted fibres, river reed and feathers honour mother earth and evoke memories of personal history. Each artist has a strong connection to the material they have utilised in their work, whether it be from the sea or the land. It is HER story, which has been cradled in the form of a vessel, to encapsulate the essence of protection and strength. 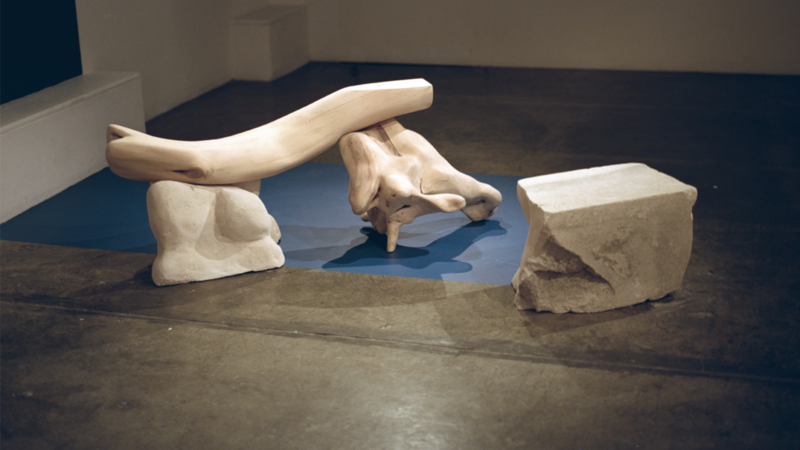 Curated by Lisa Waup Sea Her Land emanates strong cultural ties to individual stories and complexed interconnections. Through the collecting of materials from places lived or travelled to, examining them, and finding considered new uses, these strong Indigenous women identify with their heritage and reclaim and reignite their innate cultural expression. This collection of works explores both the protective and nurturing role of nature, and the ancient practice of using elements from the natural world to create diverse works as a rich expression of culture, identity and place that links generations together. The July session is an opportunity to have your ONLINE STORE critiqued and analysed with an eye to marketplace and customer benchmarks. What are driving customers to your online store? Are you converting visitors into customers? Are you getting repeat customers online? Are you capturing abandoned carts? How does your aesthetic and photography match your product? Don’t have an online store? Where to begin!? The panel will look at your current online presence and offer critical feedback to improve potential sales. Craft will mark World Refugee Day #WithRefugees with an open conversation about making, collaboration, and craft's intersection with community building, identity, and politics. As part of Craft's Island Welcome exhibition, this evening will expand on ideas and experiences around the ways we can enact community and welcome through our craft and making practices. How does making bring people together? How can craft objects communicate within the political arena? Why is collaboration important to cross-cultural dialogue? The Macedon Ranges Shire Council team up with Craft to present an important conversation on pricing art and craft objects. how can I make a living from my work? how do we balance the demands of the market, the labour intensive quality of how creatives work and the bottom line of selling work? how to match all of this with a narrative and education about why the handmade and the creative matters? who gets how much of a cut and how does that affect the maker? The June session is an opportunity to have your Instagram critiqued and analyzed with an eye to recent developments. Craft Victoria teams with the City of Casey at their amazing new Bunjil Place complex to present social media fundamentals and tricks for artists, craftspeople and other creatives. This free seminar is an accessible and friendly opportunity to get your teeth into Instagram and Facebook as a way to promote and share your creative practice. Join Gemma Jones (Craft Victoria) and Anthea Riskas (Full Tilt Nanna) for an afternoon with plenty of Q&A and cups of tea. Copyright and intellectual property can be a delicate and tricky issue in the creative industries, but for craftspeople there are object and production specific issues that are worth being aware of. What are the principles of copyright and intellectual property that are most misunderstood? How can we make and act in a way to protect our practice, our work and ideas before a storm hits? How can we best be respectful of the intellectual property within our wider craft community? What things can we do to bolster our brands and intellectual property in positive non-legal ways too? This panel discussion will bring makers and legal professionals together for an open discussion around this evergreen topic. 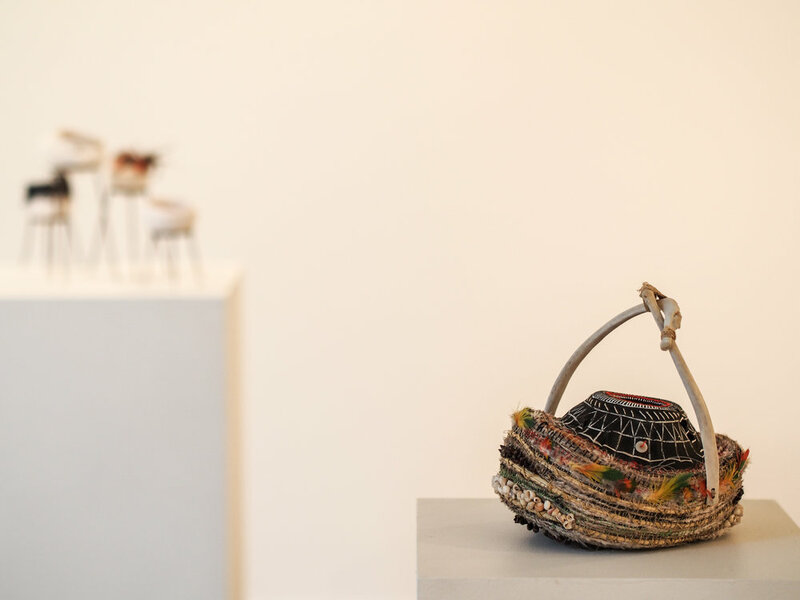 A conversation unpacking the philosophical meaning of craft through the lens of makers from our current exhibition - the meaning and impetus of the handmade, the value of working locally, and the push back against mass production. This is an opportunity to hear the voices of contemporary makers and thinkers who are deeply invested the in the currency of craftsmanship, quality, process, ingenuity, virtuosity and beauty in our community. Speakers include: Prof. Michael Trudgeon (Director, Crowd Productions), Simone LeAmon (Hugh D.T. Williamson Curator of Contemporary Design and Architecture, NGV), Damien Wright, Laura McCusker, and Adam Markowitz. CRAFT and the Macedon Ranges Shire Council team up to present a confidence building workshop for artists and makers looking for tips on how to promote themselves and their work. If you're a creative looking for a fresh approach on how to know yourself, increase your confidence, write on social media, talk about yourself and sell your work, don't miss this!